A federal judge wants answers after an Uber engineer accused of data theft pleaded the Fifth in the ongoing Waymo versus Uber battle. This privilege would protect the accused, Anthony Levandowski, of self-incrimination and handing over specific documents demanded in a previous subpoena and forthcoming deposition. What I've told you is that you can submit the privilege log to me, in camera, without giving it to anyone else and I can evaluate it, which aspects, if any would be incriminating. I'm not ruling against the ultimate assertion of the privilege, but you've got to do more than just say in court, Fifth Amendment—you have to do a privilege log and go through the process. 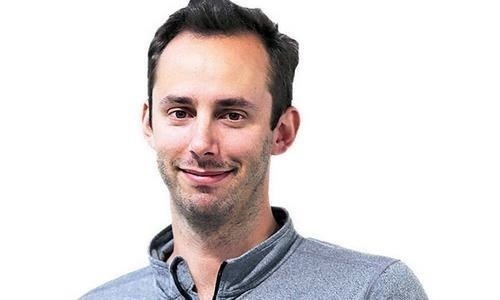 Levandowski, who was accused of stealing 14,000 documents from Waymo's parent company Google, where he worked on Google's Self-Driving Car Project, is the head of Uber's driverless division, and the co-founder of Otto (who Uber acquired). He is set to be deposed by Waymo's lawyers at their San Francisco offices on Friday, April 14. A recent subpoena also demands that he hand over thousands of sensitive documents and data he allegedly stole during his time with Google (e.g., LiDAR-related designs). Judge Alsup rejected four out of six specified materials in this subpoena. However, the first ("misappropriated materials") and the third ( "All communications between You and Uber between January 2015 and August 2016") are still standing. Again, the only reason a subpoena was even required to be served in the first place is because Uber and Mr. Levandowski have attempted to construct an artificial distinction between themselves in an effort to delay their obligations to produce responsive information. One of Uber's lawyers, Arturo González, then told Ars Technica that the cab sharing firm would be "very pleased" if Levandowski handed over any documentation required. This is only the latest development in a complicated and dramatic case. It all began when Waymo accused Levandowski of stealing 14,000 confidential documents belonging to Waymo and Google before he left and was sued accordingly. Waymo also claims that Levandowski set up the company Otto last year, only for it to be acquired by Uber for $680 million a few months later. They say this allowed Uber to utilize their driverless technology. The company has asked the judge to impose an injunction which would inhibit Uber from using this supposedly stolen material. On April 10, Judge Alsup denied Levandoski's attempt to stop Uber from giving up its privilege log. The defendant company must hand over a description of any and all LiDAR-related work performed by Levandowski by April 25. Don't Miss: Drama Amongst the Driverless—Did Waymo Unnecessarily Drag Uber into Its Lawsuit? Furthermore, the judge said that Levandowski couldn't invoke all his constitutional rights at the same time, but rather "question by question." Waymo's preliminary injunction motion will be considered when the opposing sides reconvene on May 3. However, all this driverless drama could inhibit Uber's development in this area, which just adds to the rough year Travis Kalanick's company has endured so far. Waymo had previously attempted to settle the matter with Levandowski via arbitration, i.e., out of court. They alleged that he enticed current employees to join his startup, Otto, while he was still employed there. However, these details only surfaced when the lawsuit was filed. News: Is Verizon Getting into the Driverless Game?